Every year thousands of individuals who are permanent residents in Canada apply to become Canadian citizens. The reasons for such a large no. of applicant is because Canada is a tolerant and non-discriminatory society and a safe and welcoming country. 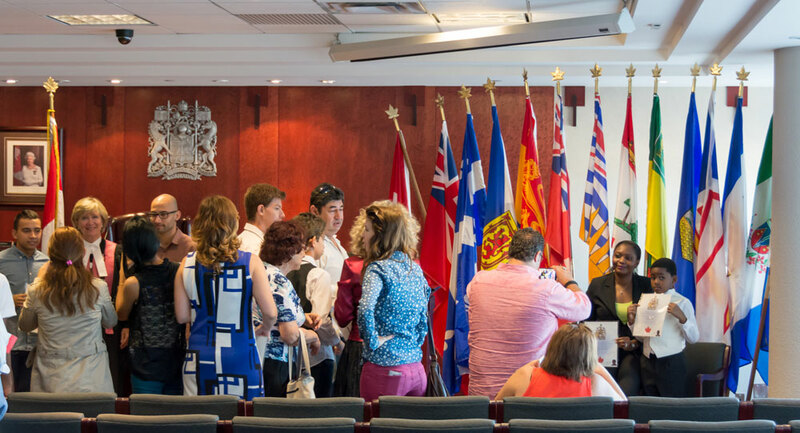 You can become a Canadian citizen by birth or naturalization. 1.To be eligible for Canadian Citizenship you must have been physically present in Canada for at least 1095 days in 5 years immediately before the date of your application. 2.During the period thatyou have been in Canada you must have had a permanent resident status, however ifyou have lived in Canada on a study or work permit before becoming a permanent resident each day will count as a half-day towards meeting the physical presence requirement for citizenship up to maximum of 365 days. 4.You must have filed income taxes with CRA for 3 out of 5years before the date of your application for citizenship. 5.You must also not have any criminal or security issues. Can i leave Canada after i mail my Citizenship application? Yes, you can leave Canada after Citizenship and Immigration Canada receives your application, however, you must remain being a permanent resident or not lostyour permanent resident status before you take the Oath of Citizenship. I am a Citizen of another country. Will i lose that Citizenship if i become a Canadian ? Under Canadian law, you can be both a Canadian citizen and a citizen of another country. (Dual Citizenship). Most countries accept dual citizenship, however some countries do not and you must ask Consulate or embassy ofyour original country whether they accept dual citizenships. Once you become a Canadian Citizen you have certain rights and freedom, which you will enjoy being a proud Canadian and responsibilities that goes with it. Need help? let our professional team assist you becoming a canadian citizen.